Or Just $299 a month** - 5 To Choose From! Browse the current inventory of Envisionsat our Salisbury store and select your color and trim now! **Example based on survey. Each dealer sets own price. Your payments may vary. 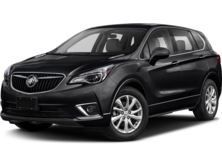 Payments are for a 2018 BUICK Envision Preferred with an MSRP of $36,865. 39 monthly payments total $11,661. Option to purchase at lease end for an amount to be determined at lease signing. Lessor must approve lease. Take delivery by 02-28-2018. Lessee pays for maintenance, repair, excess wear and disposition fee of $495 or less at end of lease. Payments may be higher in some states. Not available with other offers. Current Lessees of 2012 or newer non-GM vehicles: Payments are based on an MSRP of $36,865. 39 monthly payments total $11,661. Must show proof of lease. Option to purchase at lease end for an amount to be determined at lease signing. Lessor must approve lease. Take delivery by 02-28-2018. Lessee pays for maintenance, repair, excess wear and disposition fee of $495 or less at end of lease. Payments may be higher in some states. Not available with other offers.